Mother And Unborn Baby Killed In St. Lucie County Crash | Schuler, Halvorson, Weisser, Zoeller & Overbeck P.A. 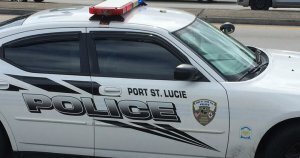 A driver with two prior DUI convictions was involved in a crash in Fort Pierce that caused a man to lose both his wife and his unborn son. A pregnant 35-year old woman was driving with her 36-year old husband and her mother-in-law when their Honda Accord was broadsided by a Hyundai sedan that allegedly ran a stop sign, Florida Highway Patrol officials reports. The Hyundai was being driven by 66-year-old man, who is suspected of driving while intoxicated, the Florida Highway Patrol officials reports. The 35-year-old woman died at a nearby hospital, her unborn baby also died and her 36-year-old husband suffered severe injuries. Her husband’s mother also suffered major injuries. The 66-year-old driver of the Hyundai was treated for minor injuries and then booked on suspicion of gross vehicular manslaughter while intoxicated and driving under the influence causing great bodily injury. The St. Lucie County district attorney’s office and the Florida Highway Patrol are looking into whether he can be charged with murder.